Set your schedule to come and join author Dave Jolly as he delivers a presentation and hike on asters and goldenrods. The talk is scheduled for 7:30 pm on Friday October 5, 2018 at the Knox Presbyterian Church at 55 Hincks Street in St. Thomas, Ontario, Canada. The St. Thomas Field Naturalists. Mr. Jolly will provide the key visual traits that distinguish the plants based on flower color, leaf shape, venation, flowerhead arrangement and habitat. Some of Ontario's rarest asters and goldenrods will also be discussed. Maps, photos of plants during all stages from spring, summer, fall and winter will sure to delight the avid aster and goldenrod enthusiast. Available for purchase will be a photo field guide to the asters and goldenrods of Ontario. The cost of this book is $35.00. Proceeds will be donated to the St. Thomas Field Naturalists, Otter Valley Naturalists and the publication of an updated book on the Plants of Elgin county in honor of the late Bill Stewart (the original author of the first publication printed by the Catfish Creek Conservation Authority in 1969) and Dave's wife Jan Barnett-Jolly who passed away on August 16, 2018. Jan always accompanied Dave on his sojourns to document the asters and goldenrods in Ontario. The talk will be also be dedicated to Jan followed by a guided hike in her memory to Port Burwell Provincial Park in search of asters and goldenrods on Saturday October 6, 2018 at 10:00 am. The rendezvous point for the hike will be at the Park administration office located at 9 Wilson Lane in Port Burwell, Ontario, Canada. If you're interested in purchasing the book, or attending the talk and walk please contact Dave at EARTHQUEST. On Sunday August 12 Dave Jolly led a Field Botanists of Ontario (FBO) hike through Port Burwell Provincial Park. The hike started with an orientation and introduction to the Park, ecological studies performed to data, history and information about the Discovery Park by Park staff. This was followed by a stroll through the Carolinian forest on Ravine Trail in search of examples of vascular plants recorded during the 2016 Ecological Land Classification (ELC) and vegetation survey work. A total of 26 new vascular plant species were added to the updated master plant list for the Park. This list of 464 taxa breaking down to 450 species (4 varieties, 5 hybrids and 5 sub-species). Of these, the Park now boosts three Species at Risk (SAR), 5 provincially rare (i.e., species of conservation concern), 21 regionally rare (within the Carolinian forest region) and 30 locally rare (within Elgin county). The official list was passed onto Park staff and the Discovery Program coordinator for Ontario Parks with the goal of publishing a pamphlet for Park patrons courtesy of EARTHQUEST (Canada) for the Environment. 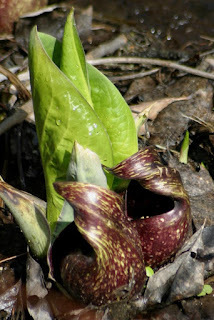 Entering our 12th season collecting data for the master EARTHQUEST plant database with 112,000 records the first plant of the season was a Skunk Cabbage (Symplocarpus foetidus) recorded flowering on February 1st. April was a long, cold, and lingering month for the flora of Ontario. We had the coldest April since the master database began in 2006. The spring was delayed by two weeks in most areas with only 33 species recorded across 16 counties and municipalities of Ontario. With the addition of 4 new plants for Renfew county the amount of coverage for this municipality is slowly rising. The rarest plant was Harbinger-of-Spring (Erigenia bulbosa) observed on April 22, 2018 in Elgin county - approximately 2.5 weeks behind the onset of the normal flowering period. No insect pollinators were observed visiting this plant. 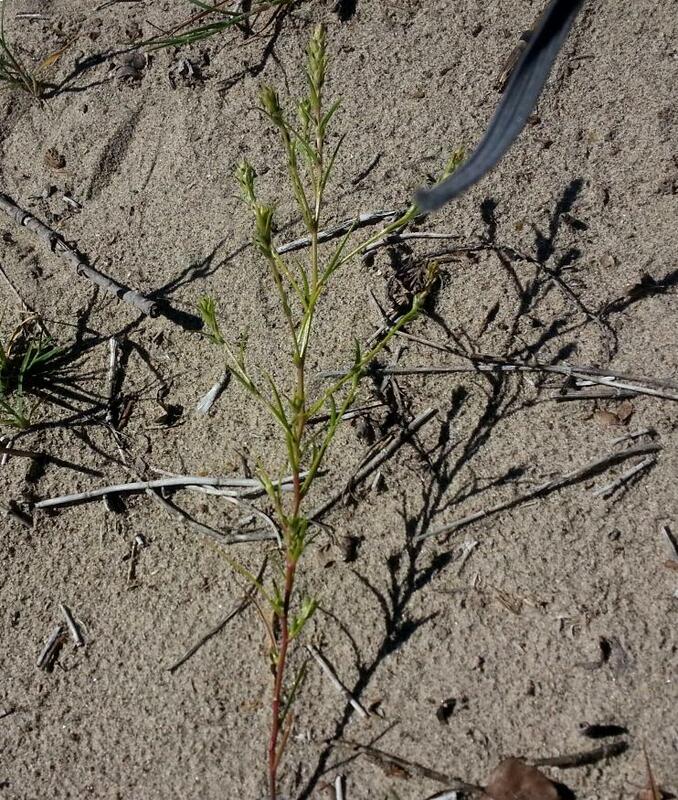 To view the April summary report please go to April plant summary. Orchids are among the most beautiful and fragile flowers on the planet. They range in size from the largest - the Queen of Orchids (Grammatophyllum speciosum) at a staggering 5.5 m in height to the smallest - measuring 0.5 mm, discovered in Brazil in 2015 - known as Campylocentrum insulare. Over 30,000 species exist in the world. In Ontario there are over 50 species, most of these reside within the Bruce peninsula. 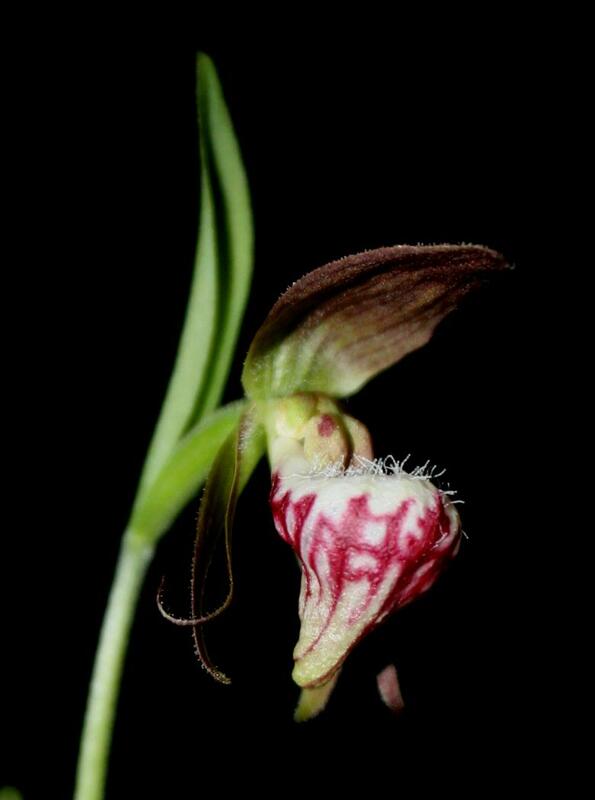 My personal favourite is Ram's-head Lady's-slipper (Cypripedium arientinum), which favours sandy sites among pines. If you're interested in learning more about these fascinating plants plan on attending my talk for the Otter Valley Naturalists on Monday February 12, 2018 at 7:00 pm at the Vienna Community Centre in Vienna, Ontario. 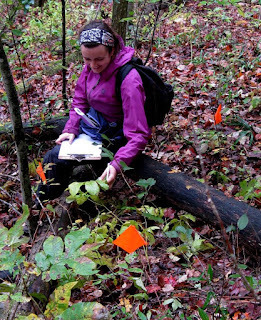 Over the past couple of years EARTHQUEST staff worked diligently with other plant species experts to write a recovery strategy for Ontario's population of threatened Goldenseal (Hydrastis canadensis). Goldenseal is one of 72 vascular plant species listed on the Ontario Ministry of Natural Resources and Forestry (MNRF) Species at Risk in Ontario (SARO) site; https://www.ontario.ca/environment-and-energy/species-risk-ontario-list. A recovery strategy is a provincial document that identifies the challenges facing species of plants and animals listed on the Ontario SARO list and provides recommendations for their recovery. The MNRF recovery strategy for Goldenseal was published in May, 2016. The document identified 24 naturally occurring populations with 79 colonies within the province of Ontario amounting to a total of 76,053 stems. Two populations with 2 colonies were considered to be non-native in origin and, therefore, not protected under the Ontario Endangered Species Act and Ontario Regulation 242/08. Two populations with 2 colonies were not assigned an Element Occurrence (EO) by the Natural Heritage Information Centre (NHIC) in Peterborough, Ontario, Canada. The "element" is defined as an element of biodiversity. This is the basic taxonomic unit on which NHIC compiles information: species (including subspecies, varieties and some hybrids), ecological communities, and wildlife concentration areas. At least 2 out of 20 natural populations are threatened by illegal harvesting for their medicinal properties. Details about the recovery strategy were also posted on the EARTHQUEST (Canada) for the Environment website. Dave Jolly, the author of the provincial recovery strategy, was contacted by the author of the federal recovery strategy with Environment Canada in August, 2016. Mr. Jolly was notified that 12 NHIC EO populations with at least 12 colonies were unaccounted for in the provincial recovery strategy. All unaccounted EOs were historical records with 1 extant - last visited on June 10, 2010. One population was in Essex region, 6 in Halton region, 3 in Huron county, 1 in Middlesex county, and 1 in Niagara region. Beginning in August, 2016 Mr. Jolly endeavoured to conduct site visits to all EOs missed in the MNRF provincial recovery strategy. On August 22, 2016 he visited the Niagara region site which yielded no results. Subsequently, on May 13, June 28, and August 19, 2017 he visited 3 out of 6 sites in Halton region. Talia Plaskett and Mr. Jolly visited another site in Halton region on September 23, 2017. None of these historical sites confirmed Goldenseal. Lastly, on October 14, 2017 Talia and Mr. Jolly visited the Middlesex county population and located 65 stems (17 plants). One of these had a 3-leaved plant (i.e., at least 6 years old). This confirmed this site as extant. This data was shared with Environment Canada and will later go to the MNRF. 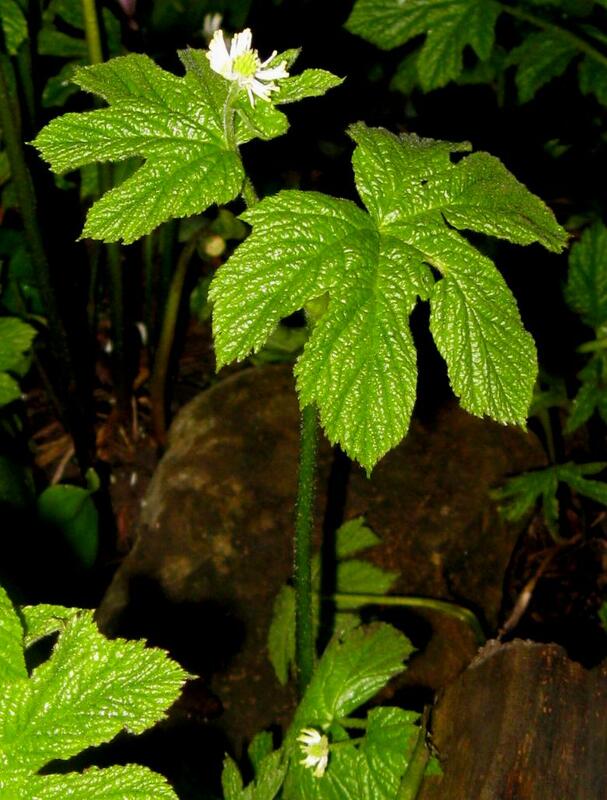 The remaining 7 historical populations of Goldenseal are planned to be visited in 2018. It is hoped that future recovery strategy writers will contact Mr. Jolly to receive the most up-to-date information on these populations. Scheduled for Saturday October 28, 2017 from 1:30 pm to 3:00 pm at the Norfolk Public Library, 46 Colborne Street, Simcoe, Ontario, will be a talk and signing for our Asters and Goldenrods of Ontario book. This will be a free event and open to the public. Families with children welcome. Another talk is scheduled for Sunday October 22, 2017 at the Chapters on Wellington Road South in London, Ontario. 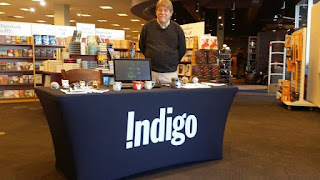 The time will be from 12 N to 4 pm with book signing and a presentation on how to attract butterflies to your garden by planting asters and goldenrods. The speaker will be Dave Jolly of EARTHQUEST (Canada) for the Environment and the EARTHQUEST Biological Field School. Armed with 22 years of field experience and his B.Sc. degree from the University of Western Ontario Dave spent the last 13 years studying and photographing asters and goldenrods in their natural environment. As a professional Ecologist he is considered a botanical expert on vascular plants and habitat restoration projects for insect pollinators and butterflies. He has written several field guides on flora and fauna and was commissioned by the Ontario Ministry of Natural Resources and Forestry to write the recovery strategy for threatened Goldenseal. 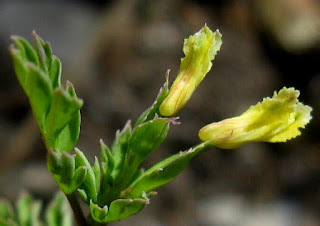 To add to his botany porfolio on Ontario asters and goldenrods he has personally observed 53 taxa (5 hybrids, 1 variety) of these unique plants, including 5 Species at Risk, and 8 provincially rare. In addition to Dave's contributions, a total of 252 plant records were recorded since April, 2006, collected by 26 students, volunteers, and staff from EARTHQUEST (Canada) for the Environment and the EARTHQUEST Biological Field School. The Asters and Goldenrods of Ontario book showcases 34 species, 2 varieties, including 6 Ontario Species at Risk (SAR) based on visual cues. It includes a binomial key for differentiating this confusing group according to flower colour, flowerhead arrangement, leaf width, venation and habitat characteristics. The talks will cover topics in propagation for bee pollinator and restoration projects, how to select plants for butterfly gardens, as well as how to field identify plants as you walk through a woodland, forest, meadow, or wetland. For those interested in purchasing a copy of our book the cost is $35 Canadian dollars plus shipping and handling. 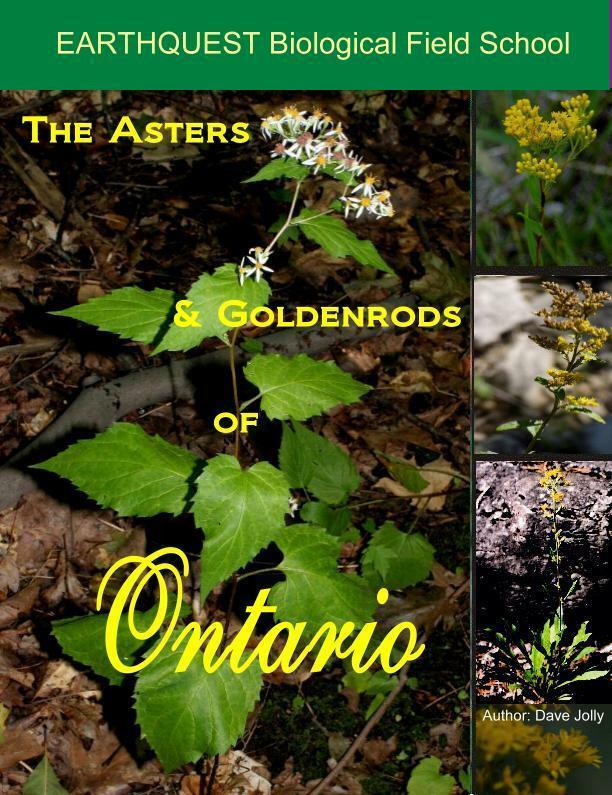 Simply click on the Paypal link on the Asters and Goldenrods of Ontario book page, or contact us at: earthquestcanada@yahoo.com. Tel: 226-926-1470. A total of 2291 records were contributed by Dave Jolly and Brian Popelier for the month of May. The beginning stretch of the Bruce Trail was hiked at Queenston Heights revealed 6 Butternut (Juglans cinerea) that have not been assessed. These records will be shared with the Bruce Trail Conservancy and Niagara Region Conservation Authority. Hiking along the Bruce Trail (McCormick Road Trail) near Dundas by Dave and Talia Plaskett also revealed 2 Butternuts needing assessment. Nine new records were contributed to the database; Crawe's Sedge (Carex crawii), Inflated Narrow Leaved Sedge (Carex grisea), Northern Red Currant (Ribes rubrum), Peck's Sedge (Carex peckii), Pubescent Sedge (Carex hirtifolia), and Wood Witlow-grass contribtued by Brian and Muhlenberg's Sedge (Carex muhlenbergii var. muhlenbergii), Swamp Pin Oak (Quercus palustris), and Yellow Cordyalis (Cordyalis flavula) from Dave. While leading bird hikes at Point Pelee National Park Dave discovered provincially rare Yellow Cordyalis in full bloom - a new record for the database. This plant was first observed by Dave on Middle Island in June, 2008 when he was sent to survey rare plants, but it was not flowering at that time. 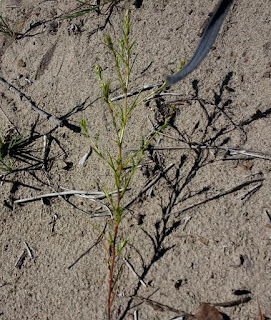 A total of 9 Species at Risk (SAR), and 17 species of special concern vascular plants were surveyed. Four records of special concern Shumard Oak (Quercus shumardii) were observed flowering in Essex region between May 6th and 17th.